Washington, D.C. — The International Code Council (ICC) is hosting its 2019 Committee Action Hearings from April 28 to May 8, 2019, in Albuquerque, N.M. Hearing participants will address potential changes to the International Codes (I-Codes) based on proposals from the building safety community, including code officials, architects, builders, engineers, and fire and energy conservation professionals, among others. 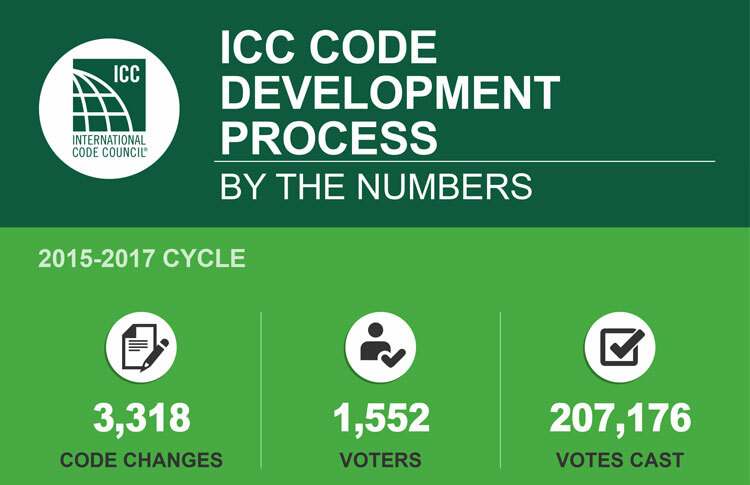 The 2019 Group B proposed code changes (http://media.iccsafe.org/code-development/group-b/2019-Group-B-CAH-compressed.pdf) are now available along with the hearing schedule (https://cdn-web.iccsafe.org/wp-content/uploads/2019-Group-B-CAH-hearing-schedule.pdf). Proponents of code changes are strongly encouraged to view their proposals for accuracy and bring any discrepancies to the attention of Code Council staff by Wednesday, March 27, for inclusion in the 2019 update document scheduled to post in early April.